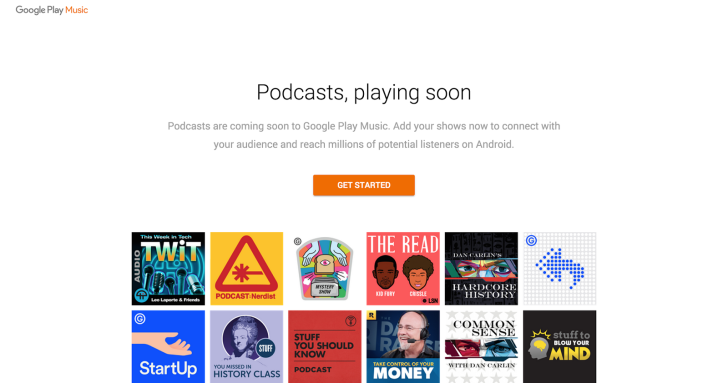 Google will launch podcasts on Android and other platforms next Monday, April 18, inside of Google Play Music, a streaming service similar to Apple Music. Please note: this information is embargoed and should not be shared or promoted externally until Monday. NPR has worked with Google to ensure that public radio is represented in the Google Play environment. Learn more about adding your station's podcasts to this new platform. Google has been testing the podcasts interface for months now, as some users have already seen it go live inside the Android app at one point or another. But many people have been waiting to see access expand to everyone. Unless plans change, that time should come on Monday. Though if things don't work out, it wouldn't be the first time a broadcaster got our hopes up.